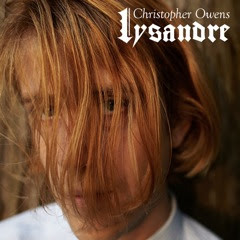 The eagerly anticipated solo record from former Girls frontman Christopher Owens eeks closer to release. Slated for a January 2013 release, Lysandre has been quite some time in the making with all eleven songs composed during a Summer tour all the way back in 2008. Described by Owens as "a coming of age story, a road trip story, a love story. ", the record was written pretty much in one sitting after a chance meeting with a girl of the same name in France at a festival. Hear an extract from Lysandre played acoustically from a bath in Las Vegas, recorded during a Matador Records meet-up back in 2010 using the player below.